AWS Lambda function times out when trying to reach an SQS service from inside a VPC. We want to configure the latter, so that we can reach VPC based RDS as well as read public SQS queues. We need (at least) two different subnets to, one public and one private. 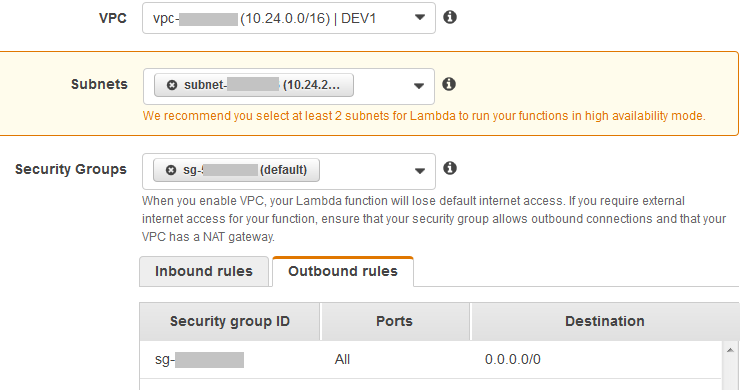 Lambda uses private subnets while inside a VPC. A public subnet has its default route set to a igw-xxxxxxxx internet gateway (IGW) object. A private subnet has its default route set to a NAT instance or a NAT Gateway. Therefore we need both the IGW and the NAT gateway for this to work. Create a new VPC and two subnets inside it. Or use an existing VPC if you have one, we use the once called DEV1. Please note that CIDR may and likely will differ. Create two routing tables assigned to the VPC DEV1 we created the subnets in. Create a NAT gateway. 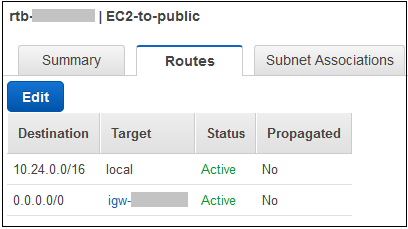 Make sure that the NAT gateway is created inside the subnet EC2-SUBNET, extremelly important! 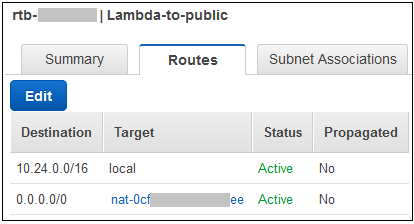 That’s it, Lambda functions should now be able to talk to both VPC and public services. This part is optional, we are going to run a test. Create a new SQS queue, note the queue URL. The function is going to send a test message to the queue. The message can be deleted if you set delete_message to True. This entry was posted in AWS and tagged AWS, Lambda, lambda timeout, NAT Gateway, SQS, VPC. Bookmark the permalink. If you notice any errors, please contact us.